Beautifully crafted body catches the eye. It packs powerful underhood hardware and comes VoLTE support. Battery backup is feeble and needs refill within hours. It doesn’t get Full HD Resolution, which is a let down. The smartphone is in budget and comes with decent features. It enables 4G connectivity and runs on Latest Android operating system. 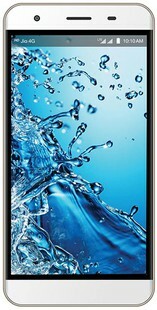 LYF Water 11 gets a metallic body with sleek and rounded edge design. On the rear, the wide lens camera accompanied by flash is placed on the top left corner and the antenna lines present on the bottom panel doesn’t disturb the classy look of the mobile. This smartphone is available in Rose Gold color variant. Like the predecessor, Lyf water 10, this new variant too comes with a 5-inch LCD display with HD resolution at a pixel density of 294ppi. It carries the screen to body ratio of 69.67% and enables one hand operation easily. Under the hood, the mobile gets a powerful configuration- a 64-bit quad-core Cortex processor coupled with 3GB RAM that carries hassle free multitaskings and Mali-T720 MP2 Graphic processor, which takes care of graphic performance. On a whole, the hardware is potent and keeps the mobile working with no heating issues and major lags. The device is equipped with a 13MP camera on rear with CMOS image Sensor and LED flash along with a 5MP shooter on front for selfies. The camera duo captures decent images even in low light conditions but still have noise. It is fuelled by a 2100mAh li-po non-removable battery that lasts for few hours and needs a refill. Even though the backup is mediocre, the turbocharging feature saves from longer hours for refuelling. Lyf water 11 full specifications include the smart gestures, WiFi, GPS, OTG and microSD. The multiple gesture motion control makes life easier by flip to mute mode, tap to lock, two point volume adjustment and three screenshot. Overall, this new Lyf mobile is worth buying for all the finest inserts and the reasonable price tag. The mobile is in head to head race with Xiaomi Mobiles and Lava phones. Lyf water 11 price in India is around INR 8000 and can buy at much better prices online. LYF Water 11 full specs and reviews as of Apr 2019. Buy it here!